ALTAMIRA, Brazil, Jul 10 2015 (IPS) - Small-scale fisherpersons were among the first forgotten victims of mega construction projects like the Belo Monte hydroelectric dam on the Xingú River in the Brazilian Amazon. The company building the dam, Norte Energía, offered indemnification and individual or collective resettlement to families living on riverbanks or islands on stretches of the Xingú River affected by the dam, who depended on fishing for their livelihood. But in no case has an attempt been made to replicate their previous living conditions, as required by Brazil’s environmental regulations. The company only offered to resettle them far from the river. And the indemnification, in cash or credit, was insufficient to enable them to afford more expensive land along the river. Norte Energía has failed to recognise that many local fishing families actually have two homes: one on the river, where they live for days at a stretch while fishing, and another in an urban area, where they stay when they sell their catch, and where they have access to public services such as health care. The report said that when the families are forced to choose indemnification for their rural or their urban home, they have to renounce one part of their life, and they receive reduced compensation as a result. They are only given compensation for their other home as a “support point”, for the building and simple, low-cost equipment. 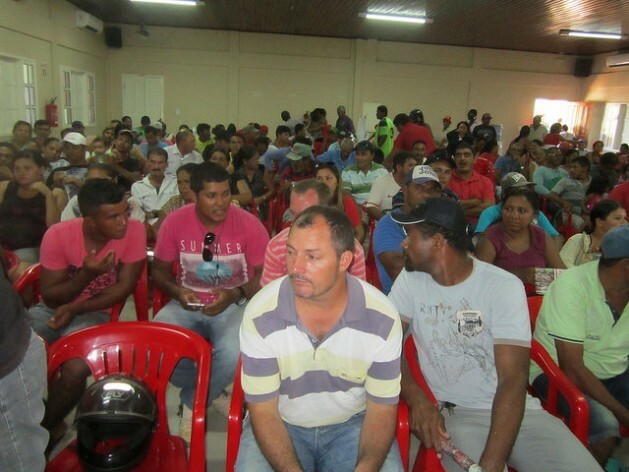 Of the hundreds of fishing community families who were evicted, most have chosen cash – even though the indemnification was insufficient to ensure their way of life – because there was no satisfactory resettlement option, according to the inspection carried out at the behest of the public prosecutor’s office. But many are still fighting for more. One of them is Socorro Arara, of the Arara indigenous people. She is from the island of Padeiro, which will be flooded when the main Belo Monte reservoir is filled. “Norte Energía offered us 28,000 reais (9,000 dollars), but we didn’t accept it – that’s too little for our seven families” – who include her parents, three children, two sisters and their husbands – she told IPS. “We want to be collectively resettled along the Xingú River, all of our families together. And it has to be upstream, because downstream, everything has been changed (by the hydropower dams),” she said. Arara’s struggle took her to the capital, Brasilia, where she talked to Supreme Court judges, officials in government ministries, and presidential aides, to seek redress. But it is an uphill battle. The company only allowed her to register her nuclear family for compensation, rather than collectively relocating the seven family units. Furthermore, Arara is demanding that they be allotted plots of land large enough for growing small-scale crops and harvesting native fruits – activities on which they depended on the island. 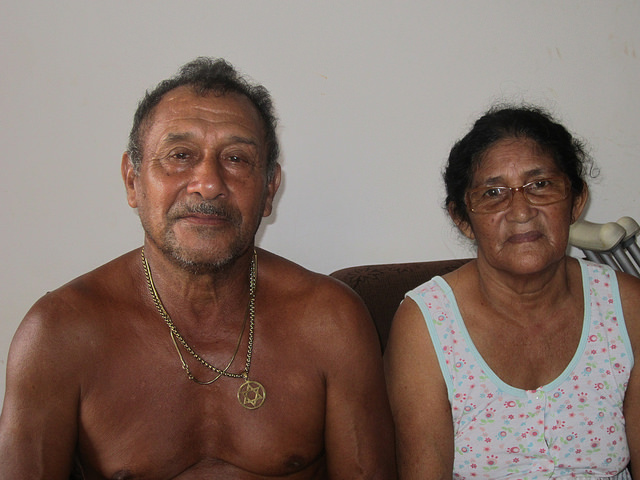 Another indigenous fisherman, José Nelson Kuruaia, and his wife Francisca dos Santos Silva had better luck. They used to live in an Altamira neighbourhood that will be flooded when the reservoir is filled. They were assigned one of the 4,100 housing units built by Norte Energía for families displaced in urban areas. The couple also received 20,700 reais (6,700 dollars) in compensation for a shanty and equipment they had on the island of Barriguda, upstream of Altamira, where they used to fish from Monday through Saturday, hauling in 150 kg a week. Today Kuruaia, who is 71 years old and retired, says he “sometimes” goes fishing. “I really love the river and if I don’t work, I get sick,” he told IPS, explaining why he goes out despite the opposition of his six children and his wife, “a good fisherwoman” who used to work with him until her knees started bothering her. Jatobá, the new neighborhood where they were resettled, is on a hill far from the river. It costs the relocated fishermen 30 reais (almost 10 dollars) to transport their motors to the riverbank, where they have to leave their boats, despite the risk that they will be stolen. They all used to live in neighbourhoods prone to flooding on the banks of the Xingú River. In response to the pressure from the fishing communities, resettled or facing relocation, Norte Energía decided to build another urban neighbourhood near the river, for some 500 families who fish for a living. 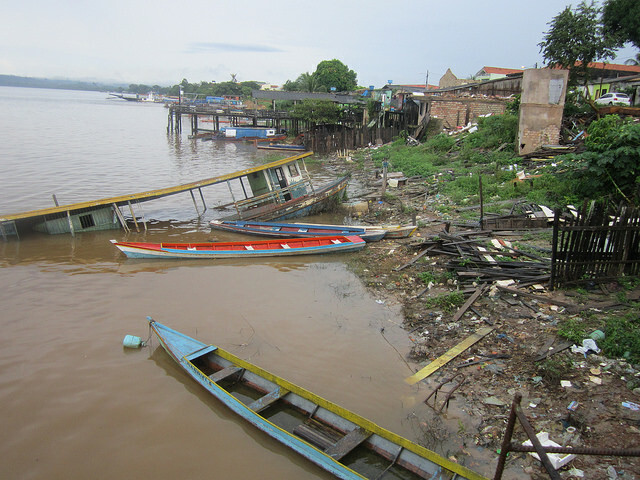 But only urban fishing families will be settled there, not people from riverbank communities, like Socorro Arara. The battle being waged by the relocated families is not limited to their homes or work environments. Many want to be paid damages for losses suffered in the last four years, due to the construction of the dam. “In four days, from Thursday to Sunday, I only caught 30 kg of peacock bass. I used to catch 60 to 100 kg in just one day, and a variety of fish: pacú, peacock bass, hake, toothless characin and filhote (juveniles of the largest fish of the Amazon, the giant piraíba catfish), which could be found year-round,” said Giácomo Dallacqua, president of the 1,600-member Vitória do Xingu fishing association. “The explosions on the riverbank are a headache for us, because they scare off the fish,” he told IPS, referring to the use of explosives to break rocks and prepare the area for what will be the third-largest hydroelectric plant in the world in terms of generating power (11,233 MW). To that is added the strong lighting used all night long near the construction site, the cloudy water, the dredging of the beaches to use the sand in the construction project, the damming up of streams and the traffic of heavy barges bringing in the equipment that will be used to generate electricity, biologist Cristiane Costa added. These impacts are especially strong near Belo Monte, a district of the municipality of Vitória do Xingu, where the main plant, capacity 11,000 MW, is being built, and where the most productive fishing grounds in the region were found. But it also occurs in Pimental, in the municipality of Altamira, where the other plant – which will generate 233 MW – is being installed, and where the dam that will flood part of the city of Altamira is being built. 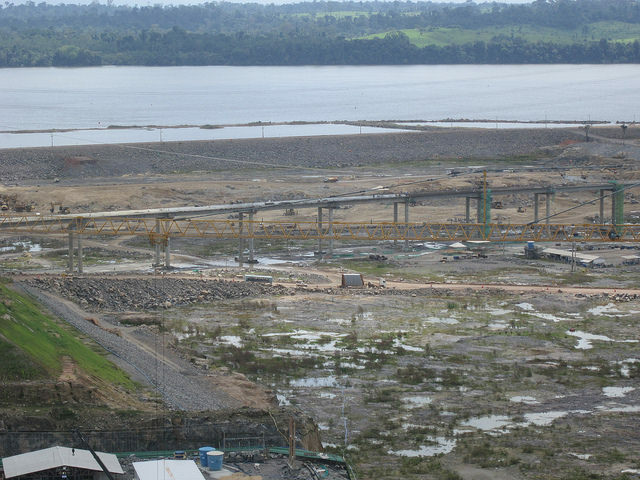 Norte Energía has not acknowledged that the construction of the dam has reduced the fish catch. It argues that there is no scientific evidence, despite the complaints of local fishermen, some 3,000 of whom have been directly affected. But the company announced seven million dollars in investment, in a cooperation agreement with the Fisheries Ministry, to create an integrated environmental fishing centre in Altamira – which will have fish farm laboratories, will breed ornamental fish, and will train local fishermen.